Falling between Halloween and Christmas, Thanksgiving decor usually gets overlooked. However, being that it's a holiday with grateful meaning (and at times completely focused on food), I think it deserves some respect! 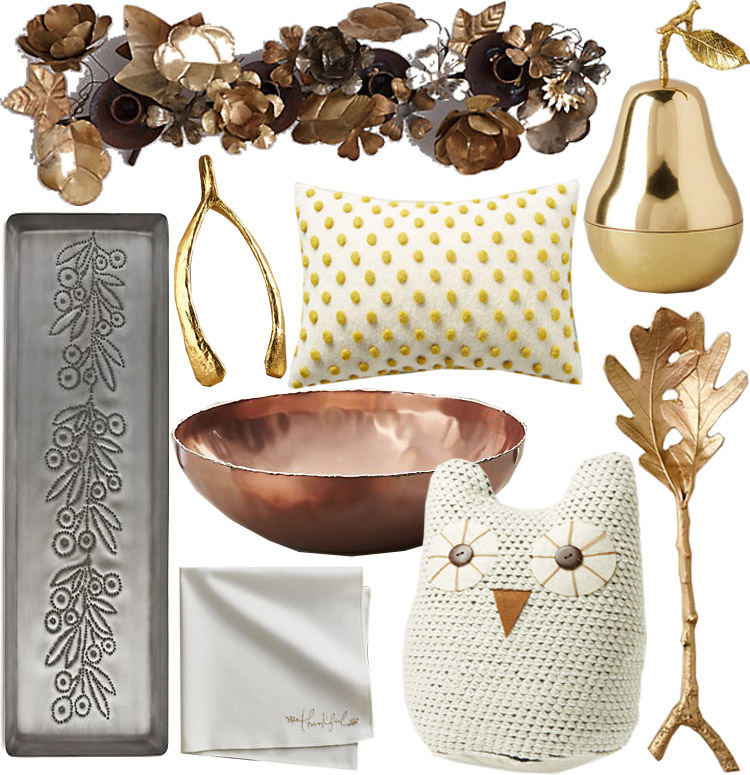 I've perused my favorite sources for home decor and curated my favorites above. These are sure to make your home festive and inviting through the month of November. Have a great weekend! We're headed to Memphis to visit my brother! I'll be back with an outfit post on Wednesday.